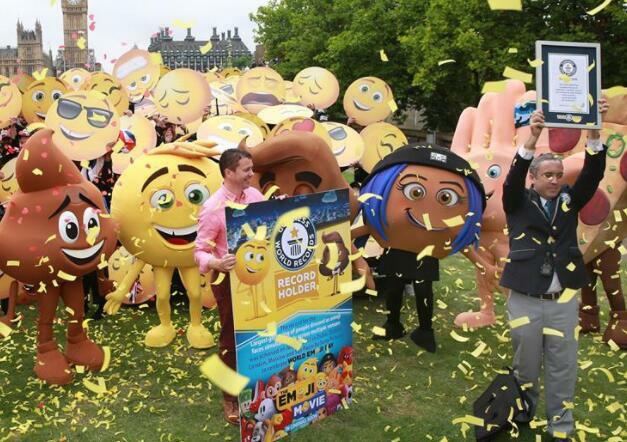 In anticipation of World Emoji Day, and the upcoming worldwide release of "The Emoji Movie," emoji fans around the world celebrated by setting the world's first Guinness World Records™ title for the Largest gathering of people dressed as emoji faces simultaneously across multiple venues. Spanning three continents, the record saw emoji faces inspired by the film's characters turn up in Dubai, Moscow, London, Dublin, and Sao Paulo, as hundreds of fans dressed as the winningly expressive characters. 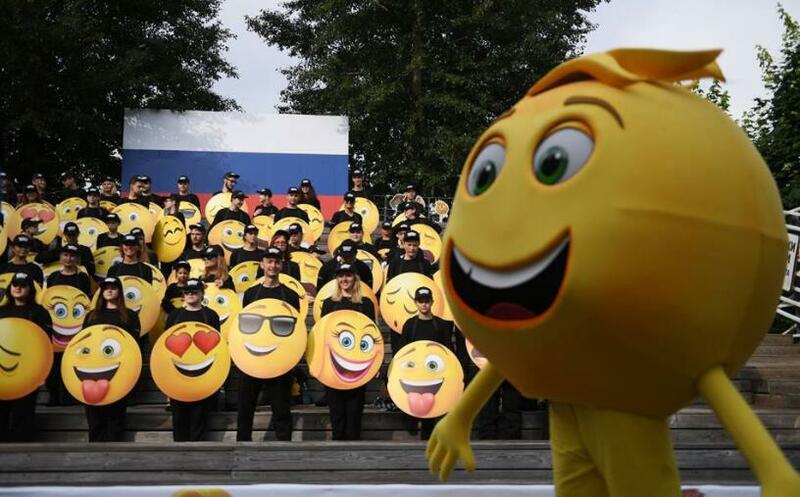 Additional countries showed enthusiastic support by echoing the effort, with their own emojis participating in similarly themed celebrations; it is estimated that more than 1,000 emojis not associated with the record were in the mix throughout Europe, Asia and South America. The film, about an emoji that simply can't stick to just one expression, is due for release in cinemas in the U.S. on July 28. Around the globe, Sony Pictures Animation's "The Emoji Movie" will roll out from late July through October this year. It comes at a time when the familiar messaging characters that populate our smartphones are more in demand than ever: in fact, this marks the fourth annual celebration of World Emoji Day, which is getting bigger with each edition and will be formally observed on Monday, July 17. 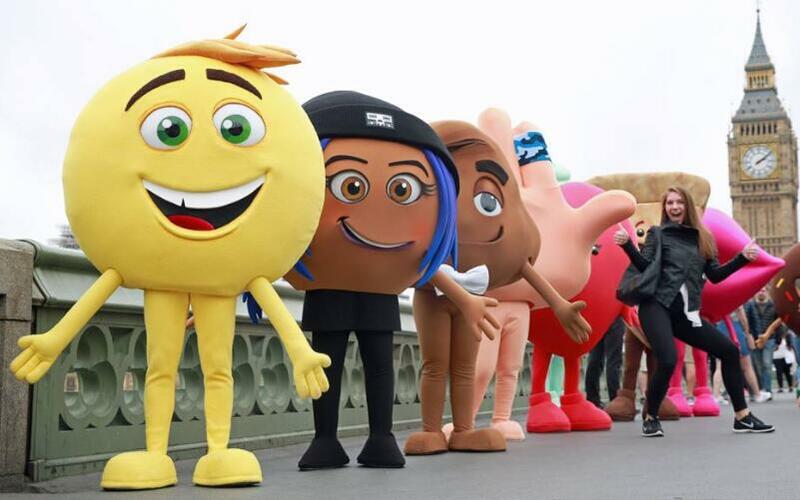 The global record was simultaneously set by people dressed as the yellow emoji characters from the movie in Sao Paulo, Brazil (local time 11:00am); Dublin, Ireland (local time 3:00pm); Moscow, Russia (local time 5:00pm); Dubai, UAE (local time 6:00pm); and London, England (local time 3:00pm). 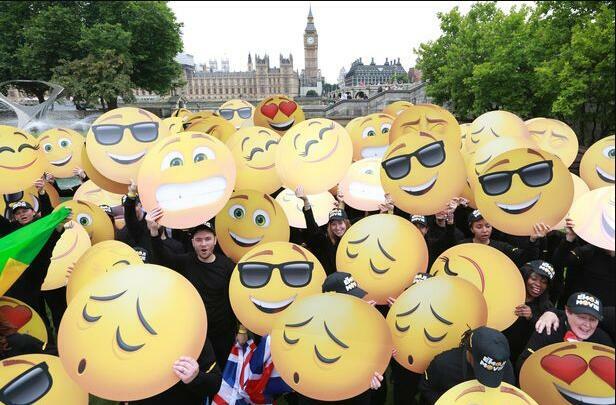 An adjudicator for Guinness World Records confirmed the new title for the Largest gathering of people dressed as emoji faces simultaneously across multiple venues. 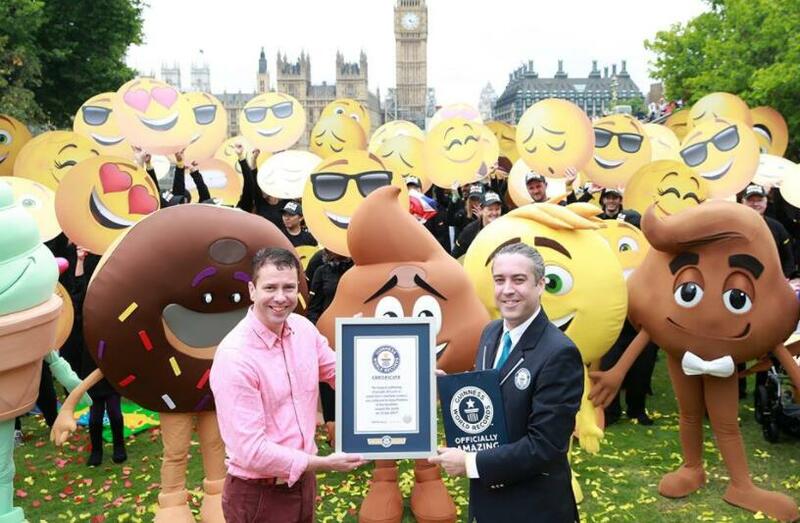 Commenting on the announcement, Josh Greenstein, President of Worldwide Marketing and Distribution for Sony Pictures Entertainment, said, "Achieving a Guinness World Records title is a testament to the enormous worldwide appeal of emojis. It's great to see so many people getting excited for the worldwide release of 'The Emoji Movie.'" Jack Brockbank, Guinness World Records Adjudicator, added, "We are incredibly impressed by the level of coordination and timing required to pull off this global record attempt – and it all happened simultaneously! It's official—this is a fantastic achievement!"